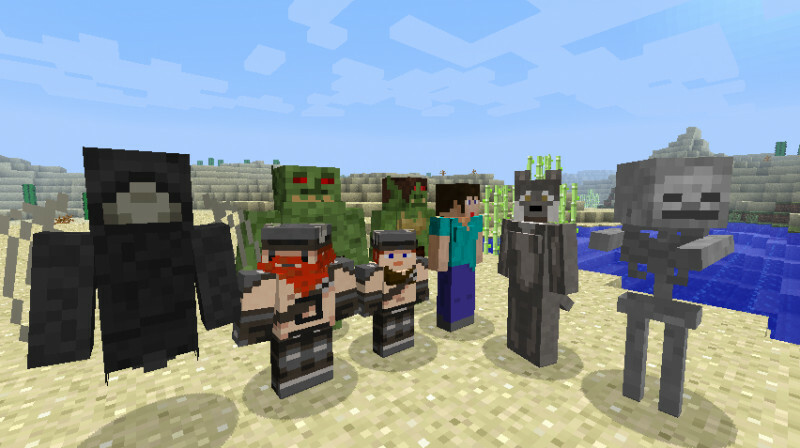 MassiveCraft supports the client mod More Player Models V2. Using the mod is optional. You can play on MassiveCraft without it. 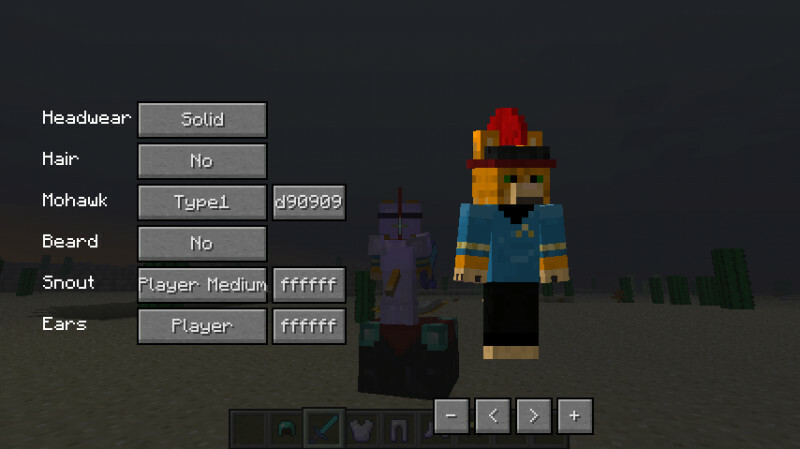 Use F6 to bring up the More Player Models character creation and options menu. This is where you create you character and configure other options, like animation quick buttons if you don’t feel like using the commands. Back Tool: The first item on your action bar will show on your back when you don’t have it equipped. Tooltip: The tooltip can be set to one of the corners and displays what tool you are holding and if it has durability it will show that as well.  Chat Bubbles: Whenever other players say things it will display above their heads. Point of View: When you play as a different entity or if you have scaled your model, your Point of View (PoV for short) will change. 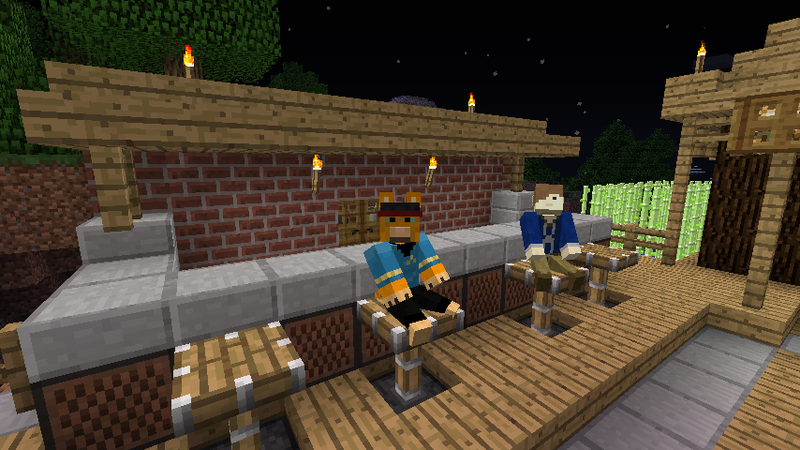 Reload Skins: Minecraft skin server have been known to glitch out from time to time. So when that happens you can simple reload everyones skin with this. 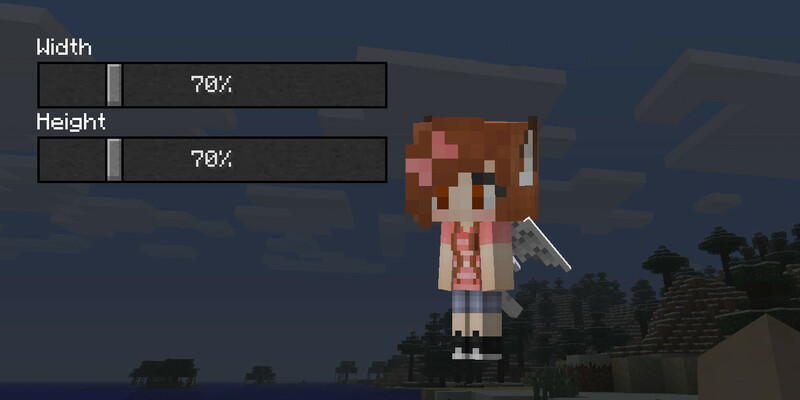 Also reloads your skin if you have uploaded a new skin to your Minecraft profile. This wont reload it for other players though. They will still see the old skin unless they reload too. You can alter these options in the F6 menu. 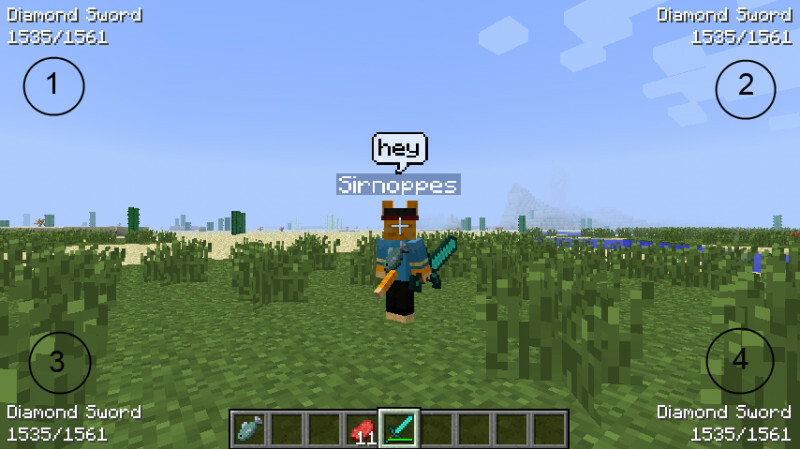 Whenever a body part has a Player option, that means that the texture can be loaded from the players texture, which he uploaded to his Minecraft profile. 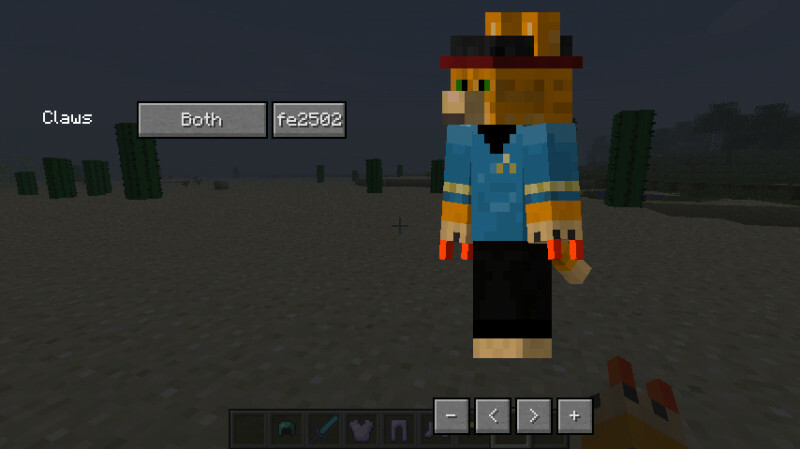 The other options are default textures included with the mod itself. 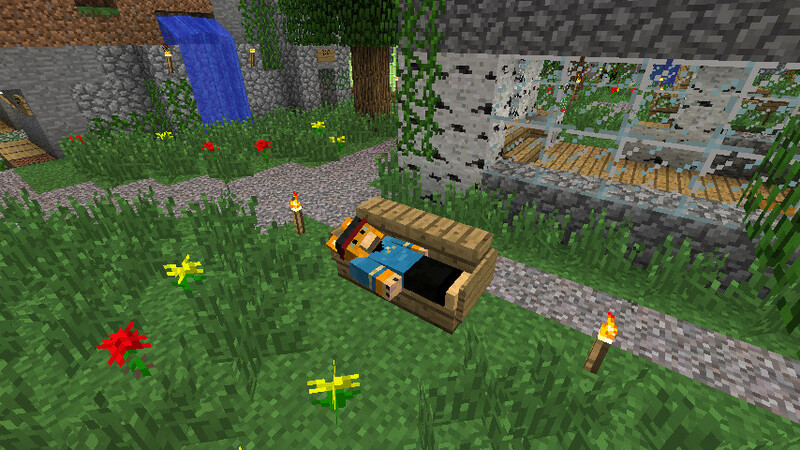 The mod comes with some default settings for the old models like: Dwarfs, Elfs, Orcs, Enderchibi and female models. You can also add your own creations by pressing the Save Settings button. Scaling the height of the body or legs changes the Point of View (POV) height. You can disable that in the F6 menu. Head wear is the texture right next to the head on your player texture. Normally headgear is a flat layer, with the solid option it will fill out. You can also decide to hide it. Hair has a player option and is textured in the bottom right of the player texture. It does not matter in what kind of shape the hair is drawn. Mohawk has no player option, because the texture is too big. 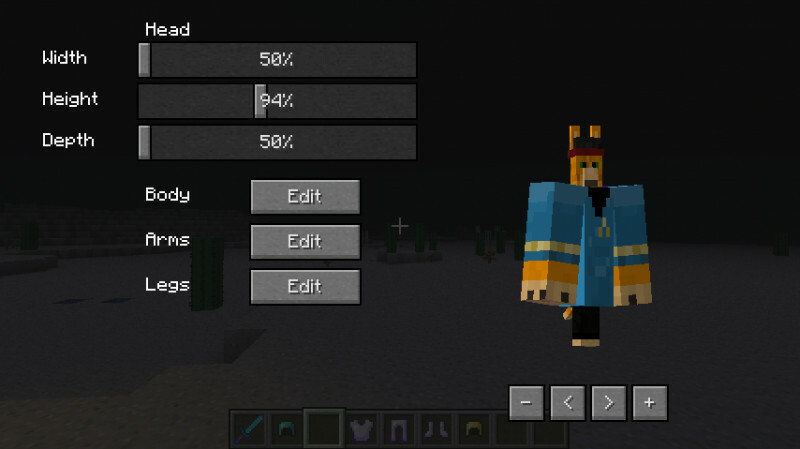 Beards have a player option and are textured in the bottom right of the player texture. It does not matter in what kind of shape the beard is drawn. Snouts have a player option and are textured right next to the head. The shape does matter. Ears have a player option and are textured in the top right. For the bunny ears the shape matters. The normal ears consists out of a front and back plane and the shape does not matter. There are 3 types of breasts. All of them use the player texture and cant be textured separately. 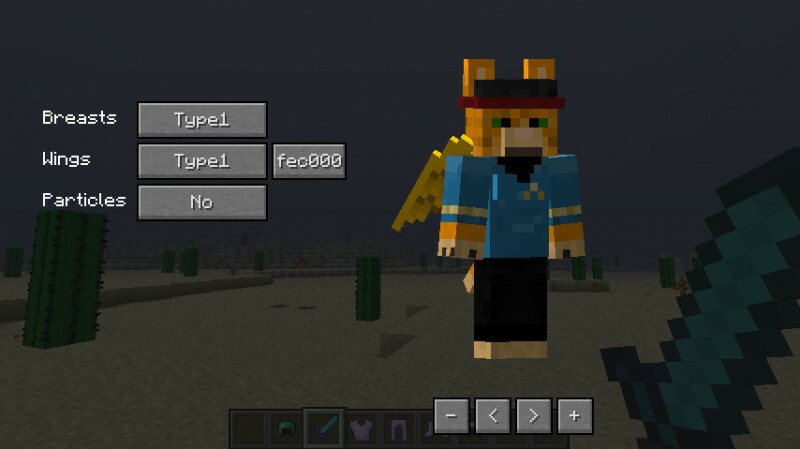 Wings have a player option and are textured in the bottom right of the player texture. It does not matter in what kind of shape the wings are drawn. Normal particles are texture in the bottom right of the player texture. The rainbow particles can’t be textured. Claws have three options: Display on both hand, the left or the right. Claws are texture on the left side of the player texture right below the head. 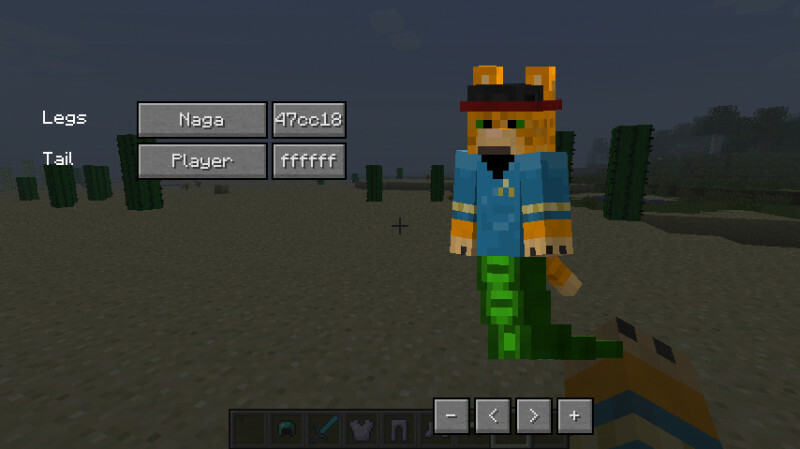 Only the Naga legs have a player option, they take part of the texture for the legs and part from the bottom right of the player texture. Mermaid legs only show in water. The normal tail and the dragon tail have player options. When you apply textures, shape really matters. The normal tail is textured at the bottom right and the dragon tail right next to the arm texture.